WASHINGTON — The California state legislature passed, with one opposing vote, a bill that would limit the federal government’s ability to search California residents’ cell phones and computer records. Reuters reported that the state senate passed the bill with one opposing vote, which shows the growing concern about National Security Agency (NSA) spying on American citizens at home and others abroad. This is one of eight measures at the state level across the United States. The California bill, which was called too vague by the California District Attorneys Association, does not allow law enforcement and other officials to help federal agencies to search records of phone calls, Internet use and history and other electronic activities. Only when a judge issues a warrant can the state officials cooperate with the federal government. 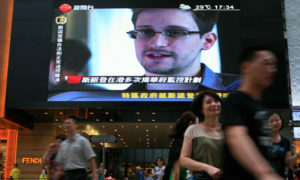 It comes at a time when the NSA is under scrutiny for its collection of meta data and other types of data on Americans, as well as revelations by the NSA leaker Edward Snowden (who is living in Russia under asylum).